Recently I got a question from one of our partners for a field in which a user can select multiple images and also have a overview of the selected images. 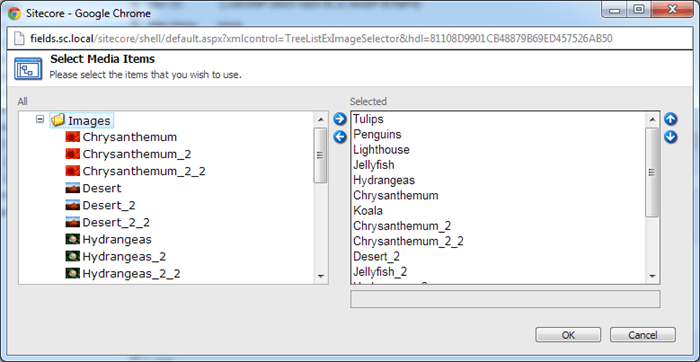 Of course there are a few available fieldtypes but there was a requirement to select the images in one dialog window. A example of this was the TreelistEx field, but that field only shows the images as tiny icons with the name of the image next to it.